These webpages are dedicated to the memory of fellow artist and Thermal Shocker, Bill Jeffrey (1927-2010). An independent group of visual artists and craftspeople, formed in 1992, which exhibited together for more than a decade, and who have gone on to establish national and international profiles as authors, exhibiting artists and ceramic educators. Dinham, J. 1992, "Thermal Shock-Review" Craftwest, Summer, 13-14. Banks, R. The West Australian, "Thermal Shock expo" April 22 1994. Arts Today p.4. Guardian Express, "Clay and Paper Sculptured" August 9 1994, p.9. 2 - 12 June, 1995, Moores Building Contemporary Art Gallery, Fremantle. Altmann, J., (1995) Objects, concepts and archetypes, Pottery in Australia, 34. 4. 32. Left to right: Artists Stewart Scambler, Irene Poulton, Bill Jeffrey, Christine Dyer, Dee Jaeger, Graham Hay. at the Aftershock exhibition opening, Moores Building Contemporary Art Gallery, Fremantle, 2 June, 1995. 11 Oct - 3 November 1996, Fremantle Art Centre Gallery, Fremantle. 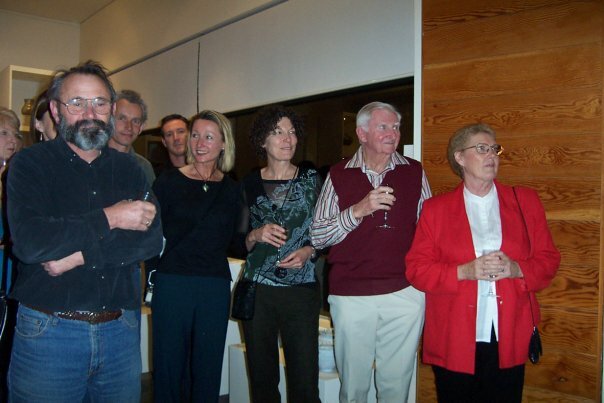 Left to right: Joan Campbell, who opened the exhibition, with exhibiting artists Dee Jaeger, Irene Poulton, Stewart Scambler, Christine Dyer, Bill Jeffrey, Graham Hay. 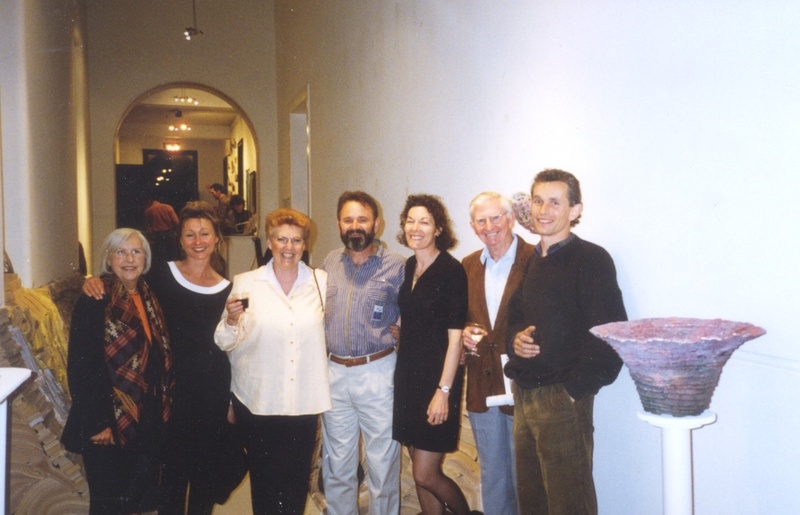 at their Committed exhibition opening, Fremantle Art Centre Gallery, Fremantle, 11 October 1996. 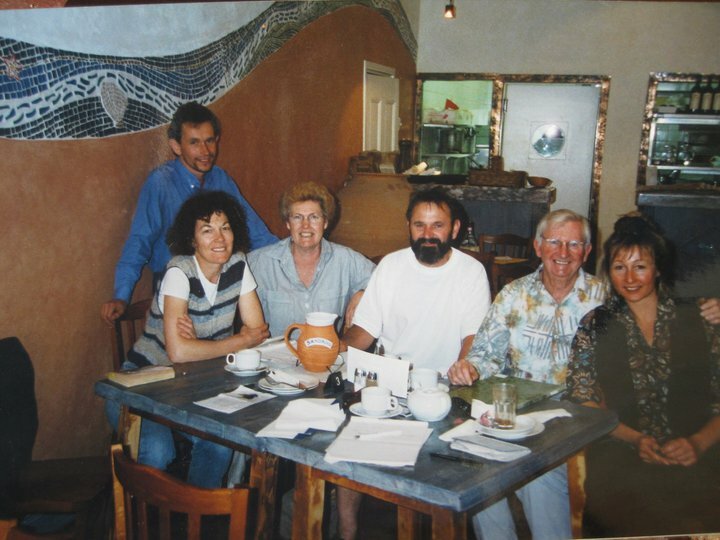 Left to right: Graham Hay, Christine Dyer, Irene Poulton, Stewart Scambler, Bill Jeffrey and Dee Jaeger, planning the next exhibition, Nedlands (C1997). 4 - 25 July, 1999, Gomboc Gallery, Middle Swan. Turner, M., Shochwaves, Western Suburbs Weekly, 23 September, p.27. ​ Spittle, D., Shock waves, artyfacts, Guardian Express, 30September - 6 October, p.15. 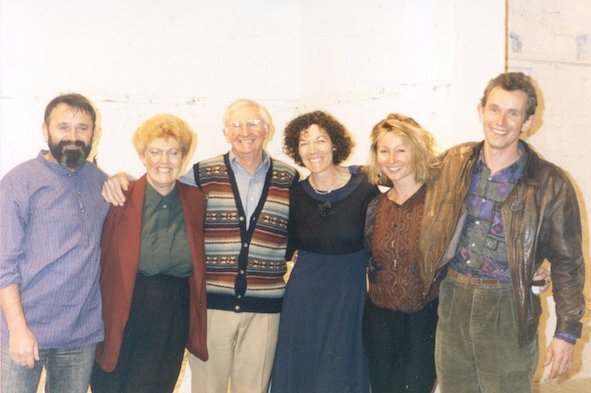 Left to Right: Stewart Scambler, Graham Hay, Dee Jaeger , Christine Dyer, Bill Jeffrey, Irene Poulton. at the Intersect exhibition opening at the Gallows Gallery, Mosman Park, 19 September 2003.